Don’t be intimidated by popovers. Trust me when I say they’re incredibly easy. They’re also amazingly versatile. 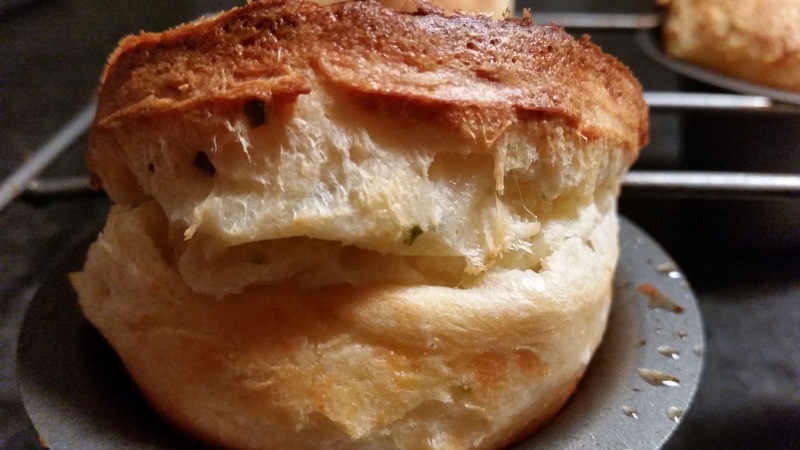 A nice hot popover, with some salted butter, is devine but you can easily add cheese and any herb to make them even better. I had leftover chives so I figured the combination of parmesan and chives would be perfect! 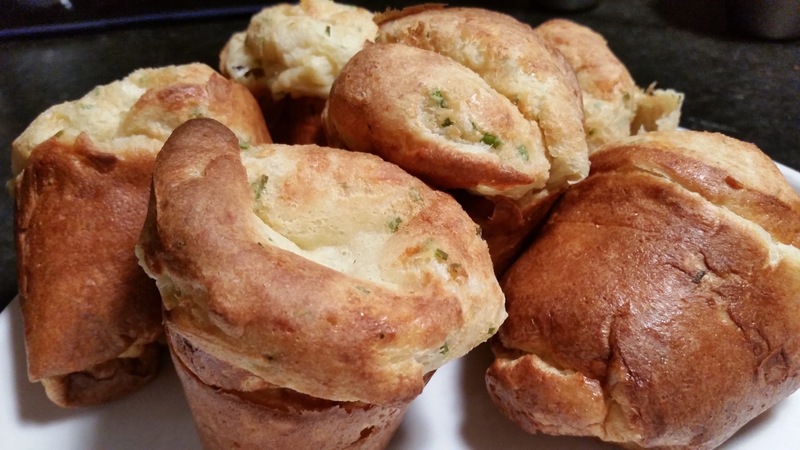 A popover tin is crucial. 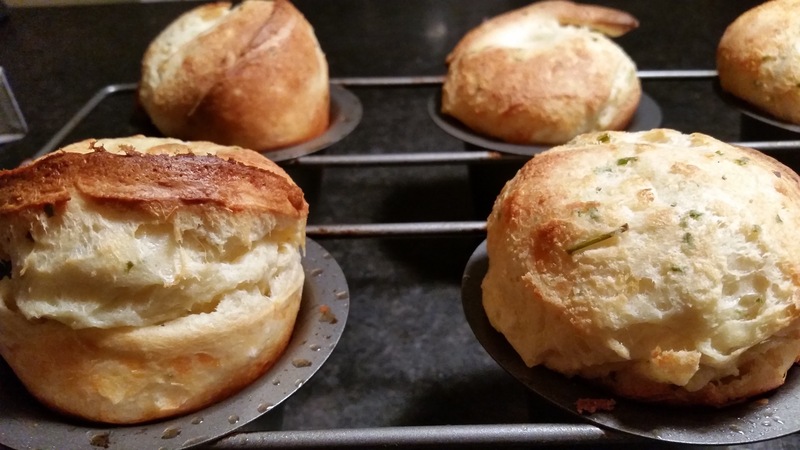 They’re cheap and once you realize how fool-proof the popovers are, you’ll be using it often. So what makes these turn out perfectly, every single time? They may deflate a little, as they cool off, but they’ll still taste insane! Original recipe provided by my girl, Ina Garten. 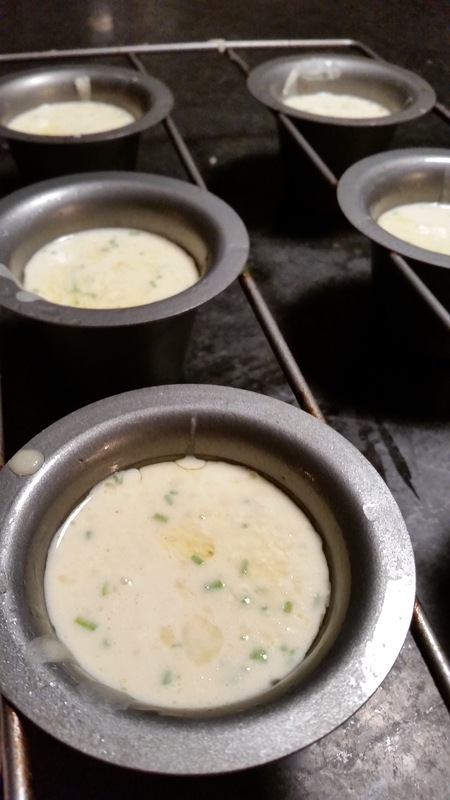 Generously grease aluminum popover pans or Pyrex custard cups with softened butter. You can also use vegetable spray. You’ll need enough pans to make 12 small popovers, (my popover tin makes 6 large). Place the pans in the oven for exactly 2 minutes to preheat. 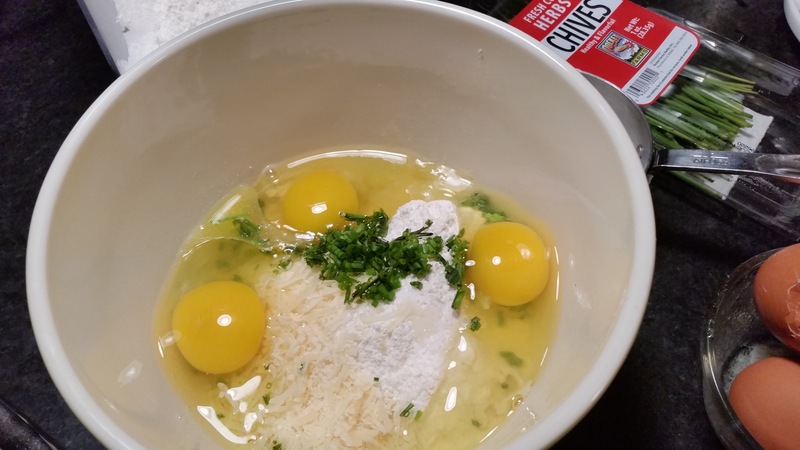 Meanwhile, whisk together the flour, salt, eggs, milk, and melted butter until smooth. The batter will be thin. Fill the popover pans less than half full and bake for exactly 30 minutes. Do not peek.